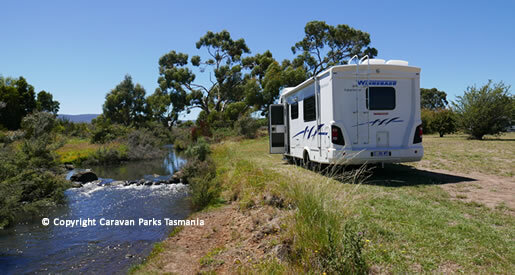 The free overnight road stop camping area at Campbell Town in Central Tasmania offers ample room for big rigs, caravans, camper trailers and campervans close to the Elizabeth River. There no facilities at the Campbell Town Caravan overnight free stop. However it is only a very short walk to all services including toilets, a supermarket, cafes, newsagent and a local hotel serving counter meals. This is a large grassed area that is capable of accommodating many caravans, campervans, motorhomes and big rigs. 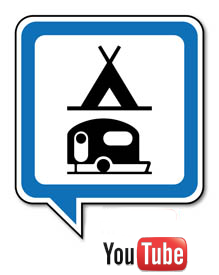 Please note tent based camping is strictly prohibited; the area is monitored by the local council. There is a small playground for the kids, a picnic shelter and barbecue. If you have arrived off the Spirit of Tasmania and heading to Hobart, Campbell Town represents a mid point on your travels and is a great place to stop for a night or 2 to both relax but also explore the town of Campbell Town. The maximum stay is 2 nights. Campbell Town is a small town in Tasmania, Australia, on the Midland Highway connecting Launceston in the North and the state capital Hobart in the South. As at the 2006 census, the town had a population of less than 800 permanent residents.